Box Dimensions (LxWxH) 6.7 x 5.2 x 3.7"
Speedlite 430EX III-RT is rated 4.5 out of 5 by 193. Rated 1 out of 5 by fhd from Fatally Flawed... This flash has one fatal flaw: the IR AF assist beam only covers (and only works with) the center AF point. Its predecessor, the 430 EX II, while not covering all AF points of the pro camera AF systems, at least supported the great majority. This guy does not even try if any AF point other than the center is selected, and the little horizontal beam it emits is rather pitiful. No idea what Canon may have been thinking here. Therefore, it is no alternative to carrying the heavy 600EX-RT in the hotshoe if you need IR AF assist, light, and ability to control OCF in the RT system. For a stand-alone hotshoe flash, the 430 EX II remains the best choice, IMO. Rated 5 out of 5 by James Gordon from Yes on the 430EX III RT ! For 99% of us, this is the flash you need. It can act as a master and radio trigger other 430ex rt's or 600's. Actually, the decision for some might be do you get the RT trigger from Canon or do you get another 430EX III RT? It puts out enough light for most situations. It's a smaller footprint than the 600 and much lighter. And it's Canon, so it is built with reliability and quality. As for me, I am a one flash guy.. as a pro photographer said, If you think you need one flash use one flash. If you think you need two flashes, use one flash. 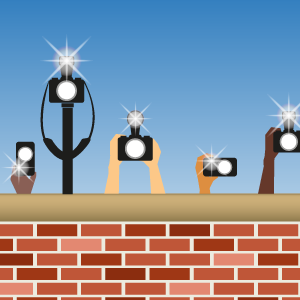 If you think you need three flashes, use one flash. Oh, by the way, it's much cheaper than the 600, too. MUCH cheaper. Rated 3 out of 5 by Anonymous from Great wireless set of features but overheating often Good solid flash. I upgraded from 2 Canon 430 EX II with triggers to 3 Canon 430 EX III RT. The built in wireless is great but Canon seems to have put a new overheat protection in these flashes and after about 20 shots they go into overheat protection and start firing only every 3rd picture. Very annoying and it can make you loose a lot of shots if you shoot in fast pace. The old Canon 430 EX II kept up with professional use very well but for the new Canon 430 EX III RT it seems they have chosen to target only enthusiast and make the professionals go for the twice as pricey 600 EX RT. Nice move by Canon but there are a lot of third party options. So if you are a professional I would not recommend this flash. Rated 5 out of 5 by Alex from Awesome flash!!! I love this flash! The size has been reduced making a smaller footprint in my bag and the menu on the back of the flash is a BIG improvement over the version 2. I like the interactive display because it makes navigating a lot easier. The fact that it doesn't zoom to 200mm or there's no external power option is no big deal to me. You can't have it both ways if you want all the features in the world in a relatively small package. That's what the 600EX-RT is for! Nice job on this one Canon! Rated 5 out of 5 by D. Igital from Beautiful Design, Great Flash! This flash is so beautifully designed and compact. It doesn't have as much power as the 600EX-RT, but it's much easier to carry. Be aware of two default settings that you may want to change. First, the red autofocus assist light is set to Off by default. Having it on makes autofocus much easier indoors, so you'll probably want to set it to on. To do this, set Personal Function 5 to 1, which sets it to On. Secondly, the modeling light is set to On by default. I don't use the modeling light and find its strobing effect to be very annoying. To turn it off, set Custom Function 2 to setting 3. Rated 5 out of 5 by thumperJDM from The most user-friendly Speedlite yet!!! I recently sold my 430ex to a friend, and bought two 430ex III RT's. The user interface on this new Speedlite is fantastic, and very intuitive to navigate/change settings. The 430RT's smaller size (as compared to the 600) makes it a convenient Master atop the camera, whether that flash is enabled, or merely being used to control another 430RT that's being used as an off-camera Slave. Can't wait to see this type of user-interface to make it onto future Speedlites. Rated 5 out of 5 by Jenolyn from Fantastic companion to the 600ex rt! I wanted to get a second speedlite for the occasional off camera flash set ups and I was hesitant about purchasing a 2nd 600exrt. I love my 600 but since I don't often need more extensive lighting set ups I didn't want to spend the extra cost. The 430ex iii-rt has been PERFECT for my needs. I am able to sync it with my 6d, st-e3-rt transmitter, my 600 and BAM! I now get to create amazing lighting set ups at a fraction of the cost of the 600!! Plus since it's lighter than the 600 it's a great go-to flash when I need it for more casual photography. I brought it with me on Thanksgiving and the output was fantastic. I am so happy with this purchase!! Rated 5 out of 5 by Chuck from First flash I did about 2 hours of research before purchase.? ?Background: I am a beginner and hesitated as I was still picking up aperture, iso, shutter speed.? After I had a better understanding I decided it was time to pick up a flash.? I always just bumped up the iso in low light conditions, but depending on the camera, the grain and quality degrades.? Well the flash helps and I'm back to 200 shutter speed and low ISO in low light conditions without the degradation.? This appears to be a great beginner flash and glad I choose this model vs any higher end as I would have no use, yet, for the additional features. Is the price the same if I buy it locally or only for online purchase? B&amp;H prices are the same in the store and online. If you have three 430EXIII speedlites, one on camera and two off camera, can the on camera 430EXIII be a master but not fire? Will this unit work as a slave with the 600RT as a master in the radio mode? Will this new unit work as either a master or a slave to the older 430EX? Yes, but slave function only in optical transmission. If you'd like to use your 430EX and 430EX II as radio slaves to 430EX III-RT check out Phottix Laso TTL Flash Trigger Receiver for Canon $99.95 (B&amp;H # PH89091). Will it work with a 50D? Can a Yongnuo YN-622C-TX trigger the 430EX III-rt? Not directly, no. If you wish to trigger the Canon 430EX III-RT Speedlite Flash with the Yongnuo YN-622C-TX E-TTL II Wireless Flash Controller for Canon, you would have to purchase the Yongnuo YN-622C II E-TTL Wireless Flash Transceiver for Canon (2-Pack), B&amp;H # YOYN622CII, to connect to the hot shoe on the Canon 430EX III-RT. You must use the Yongnuo YN-622C Transceiver on the Canon flash as Canon&rsquo;s built-in radio is not compatible for use with the Yongnuo YN-622-C-TX transmitter. 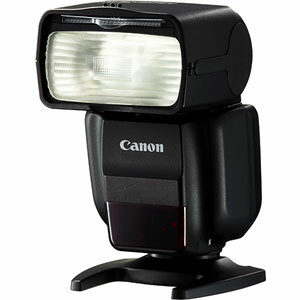 Canon Speedlite 430EX III-RT IS compatible with pocket wizard transmitters?? The Canon 430EX III has a built in radio receiver that will not work with Pocket Wizard. If you want to use Pocket Wizard transmitters you will need to use a Pocket Wizard receiver on the flash unit. Will this (mounted on my 5dmarkiii) trigger my 600exrt when using the 600 off camera?Do I even need anything to trigger either of thee flashes off camera or can the camera trigger them by itself using camera menu settings? The 430 EX III RT can be used as a master flash in radio triggering mode to fire a 600EX RT that is placed off camera. 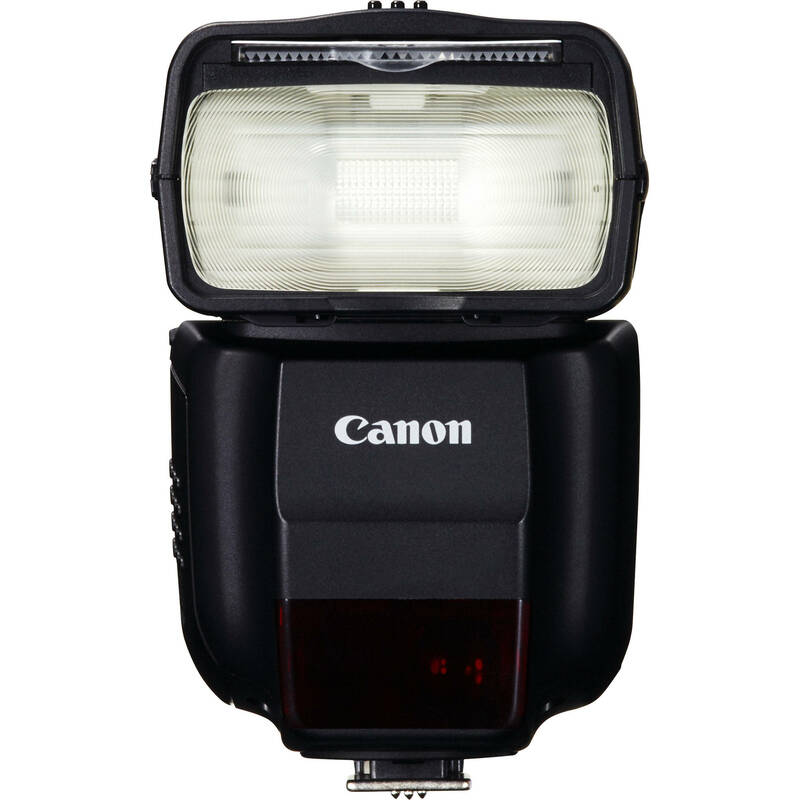 If both flashes will be off camera, then you also need the Canon ST-E3-RT Speedlite Transmitter B&amp;H # CASTE3RT.